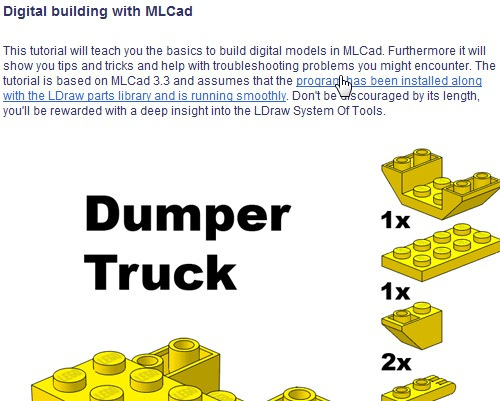 The ever helpful Willy Tschager has just released an excellent tutorial on getting started with MLCAD and LDraw. If you’ve ever wanted to learn how to use virtual LEGO to create your own virtual masterpieces from nothing but your imagination and a computer this is an excellent way to cross the first hurdle. What’s 9 pages long and has 72 steps? A basic tutorial for MLCAD!